Hull FC chairman Adam Pearson says the club will do everything they can to keep winger Tom Briscoe. The 22-year-old scored 17 tries in the 2012 Super League campaign but is out of contract at the end of next season. "We need to talk to Tom really early in the new year because he has an ambition to play in Australia," Pearson told BBC Radio Humberside. "We're going to offer him a long contract on huge money but that might not be enough." He added: "Tom is a great, highly-respected player and we'd love to keep him." Briscoe is currently with the England squad ahead of the Autumn International Series, which features games against Wales and France. 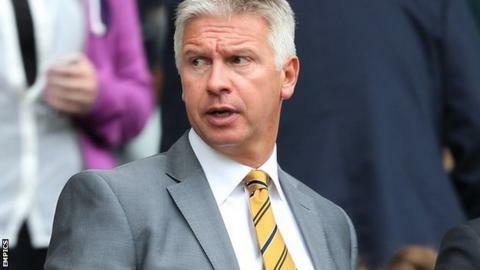 Meanwhile, Pearson has revealed his dispute with Hull City owners the Allams has been resolved. Pearson, who was head of football operations at the Championship club, was sacked along with manager Nick Barmby in May. "Thankfully it has been sorted out amicably now and both myself and Nick are pleased about that," he continued. "It's too small a city to have legal actions going on and the Allams have done a lot of great stuff for Hull. I'm delighted it's been put to bed."